Wooden Chinese Dragon key rings made from natural fruit wood. 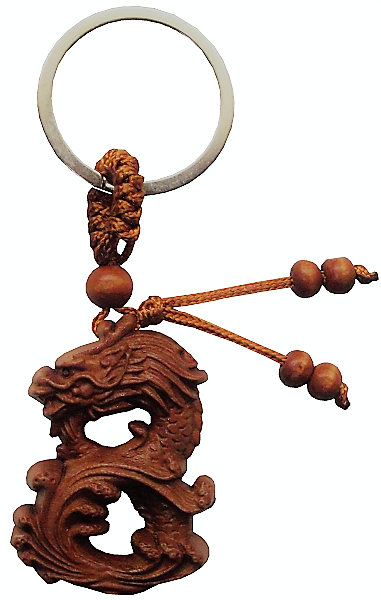 Full of detail, the Chinese Dragon key ring is a protection symbol that can attract good fortune. Dragons are regarded as the most powerful of all Chinese deities and rule over the heavens above.